Roosebeck 25 & 57 Inch Uilleann Pipes Black Belts for Starter Set. Uilleann replacement Black Belts for the starter set. 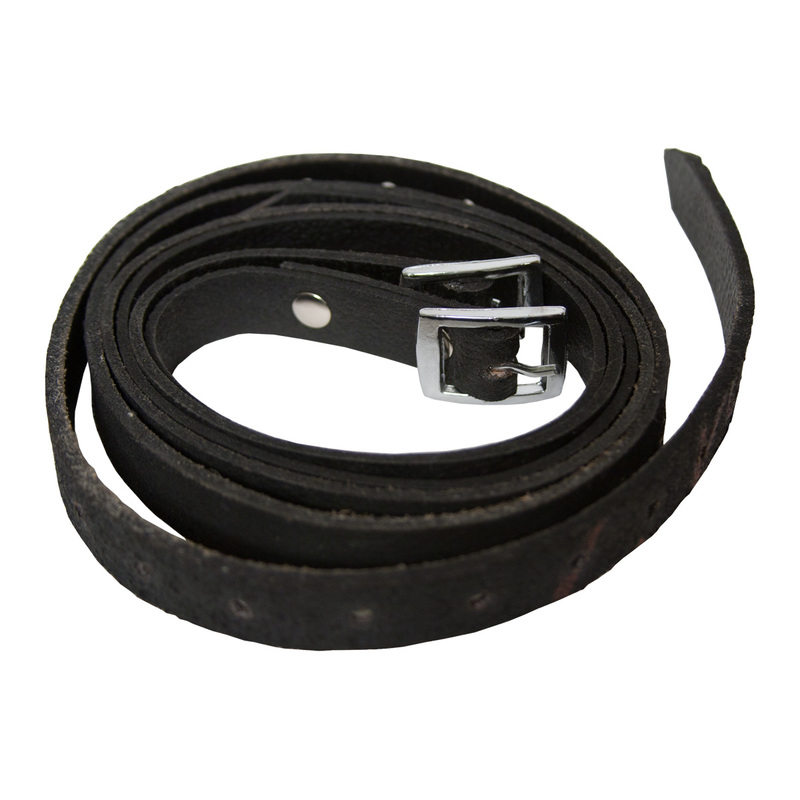 2 Black leather straps with silver colored buckles. The shorter strap is 25 inches long X 5/8 inches wide. Adjustment holes are between 13.5 inches to 22.5 inches spaced approx. 3/4 inches apart. The longer strap is 57 inches long X 5/8 inches wide. Adjustment holes are between 34.5 inches to 53.5 inches spaced approx. 3/4 inches apart.